This year the 7th Annual Pigskin Preview took place at the Dallas Civic Center in Downtown Dallas. Organized by the Paulding County Rotary Club, Club President Ford Thigpen greeted everyone. Following the provided lunch Mr. Thigpen thanked them for their continued support and participation in this event. He expressed what a privilege and honor it was for the Rotary club to participate in this event annually with our high schools. Mr. Thigpen then introduced Jason Freeman, the county athletic director and co-founder of the event to the podium. Mr. Freeman began by recognizing members in the audience for their support and continued effort with the county's athletic programs. He continued updating everyone with the progress in the county's athletics reminding those of the benefits of the leadership and guidance imparted to the students through these programs. Mr. Freeman then yielded the podium to Ford Thigpen as he introduced each of the high school football coaches and allow them to speak on behalf of their respective programs. Speaking first from Paulding County, Head Coach Van Spence was followed by East Paulding High's Billy Shackelford. 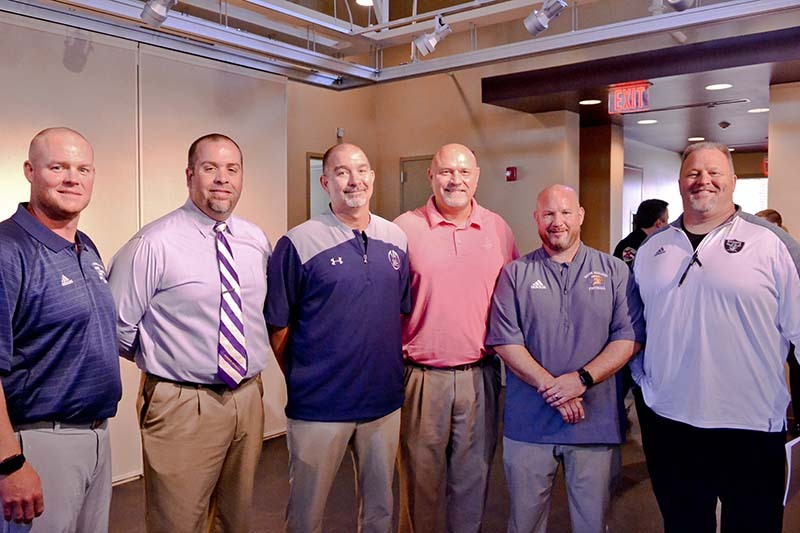 New to the Paulding County school system were Hiram's Coach Pete Fominaya, North Paulding's Coach Jim Bob Bryant, and South Paulding Coach Jason Thompson. All the coaches expressed gratitude towards their staff and for the support of their high school principles. Each coach also recognized the encouragement and support of Robbie Finley and his wife from the Fellowship of Christian Athletes. 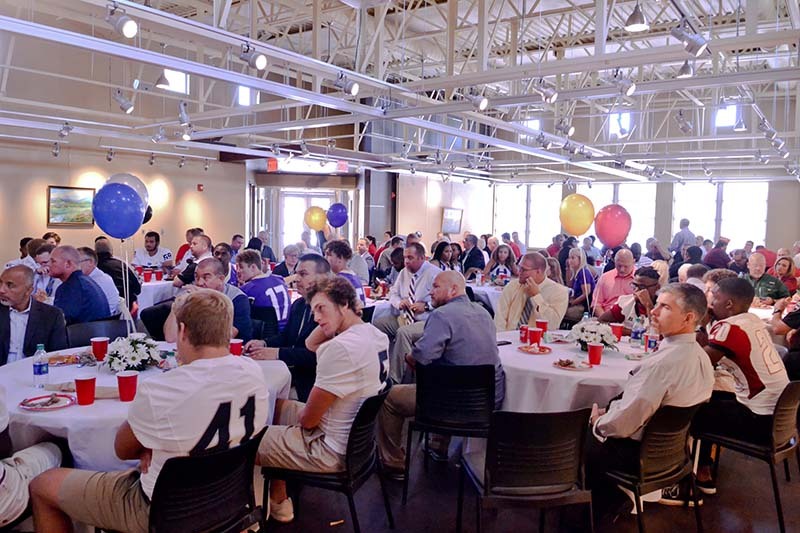 Every coach expressed the value in our county's high school football athletics programs and the values they instill. All expressed a common heartfelt belief that the roles they fill as coaches are instilling life-changing lessons introduced to these young men through athletics. Attending this year were a record number of community and county government representatives. Among the community leaders was Paulding County Board of Commissioners Chairman David Carmichael, Judge Dean Bucci, Judge T. David Lyles, with Sheriff Gary Gulledge and Sergeant Ashley Henson from the Paulding County Sheriff Department. Dallas Mayor Boyd Austin attended along with council members Jim Henson and Griffin White. 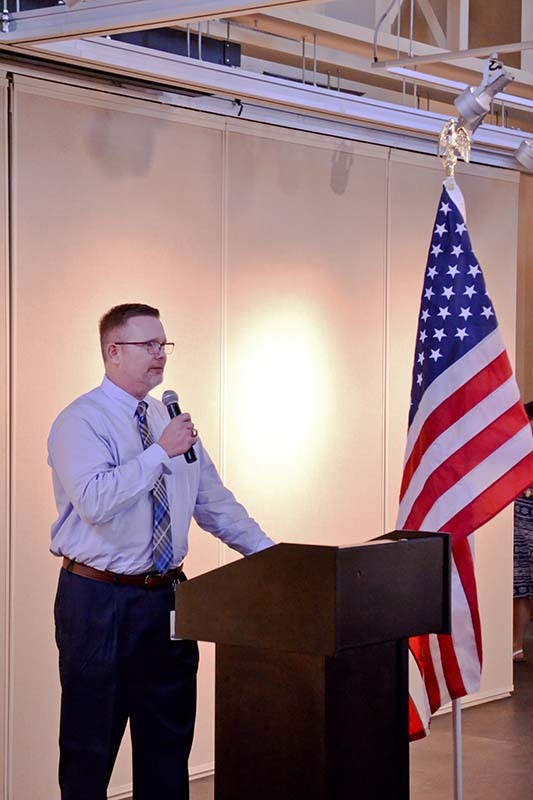 Many of Paulding's educators were also present including Superintendent Brian Otott and staff from each of the five high schools in Paulding County.